Style extends from the straight lines of the square back to the rounded, extra cushioned arms that are highlighted with contrasting cording. Comfort is not sacrificed by style. 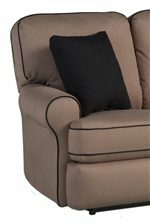 With a hidden inside handle, this wallhugger reclines to a full layout position. 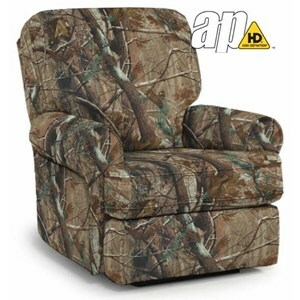 The semi-attached back is blown with high-loft premium cushioning fibers, while the seat utilizes a high-density foam cushion for maximum resiliency. 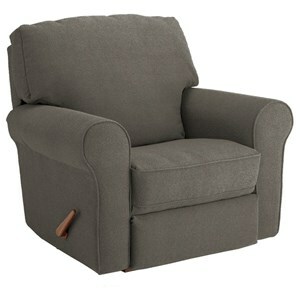 This wallhugger recliner is available in any one of the hundreds of stylish fabrics with your choice of any contrasting cording. Also available without special cording. 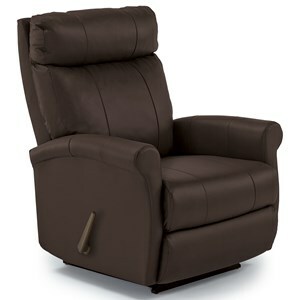 The Tryp Wallhugger Recliner with Inside Handle by Best Home Furnishings at Conlin's Furniture in the Montana, North Dakota, South Dakota, Minnesota, and Wyoming area. Product availability may vary. Contact us for the most current availability on this product. At first glance, this Tryp sofa and loveseat simply look like a beautiful, transitionally styled stationary set, but look closer. The Tryp collection is actually a reclining sofa and loveseat. These pieces are available with the contrasting cording option in the fabric of your choice and the sofa and loveseat (not shown) come with matching pillows. 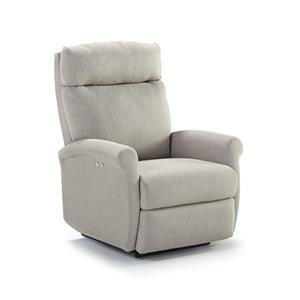 The handle is hidden on the inside, for a sleek look, but, better yet, you also have the option to order this reclining set with power recline. 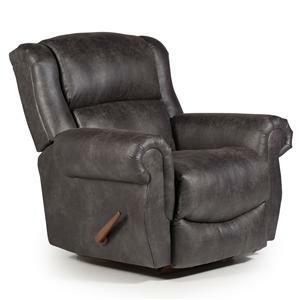 A matching recliner is also available and comes with the special cording and power rocker options as well for a complete set to enjoy for relaxing and entertaining in your living room, family room, or great room. 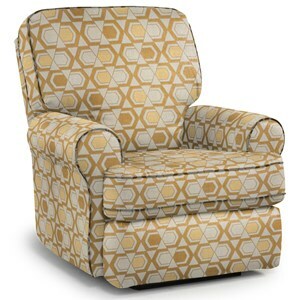 The Tryp collection is a great option if you are looking for Casual furniture in the Montana, North Dakota, South Dakota, Minnesota, and Wyoming area. Browse other items in the Tryp collection from Conlin's Furniture in the Montana, North Dakota, South Dakota, Minnesota, and Wyoming area.